Bluebeam Revu Tutorials & Tips | Authorized Reseller | Bohdee LLC tagged"Bluebeam"
Bluebeam has recently announced their end of life plan for Revu Mac. Beginning today, April 1, 2019 Bohdee will officially cease sales of Revu Mac products. The official discontinuation date for Revu Mac will be on March 1, 2020. We're happy to announce that Bluebeam Revu 2018 has arrived! With this year's release, Bluebeam is positioned to be your global project partner, and their emphasis remains on developing intuitive, smart, and simple solutions for Architecture, Engineering, and Construction (AEC) professionals around the world. At Bohdee, our focus is always on how you can use each new feature to work smarter. We believe Revu 2018 is the best tool to maximize productivity, improve project predictability, and minimize project risks. We'll clearly and concisely explain what's new and what's improved in the new Revu 2018 version so you can make an informed purchasing decision. Email us if there's a specific feature you'd like more information on! Now instead of accessing properties from the File Access tab or from the side Panel, Revu 2018 gives you a dynamic Properties Tool Bar that automatically adds relevant information about your PDF file or Markup. For example, when selecting a Markup, the Properties Tool Bar responds by instantly displaying property options such as color, line width, subject, etc. That means instant click savings! In addition to the new properties toolbar, you'll also notice the top menus display actual menus instead of switching between sets of icons. This change serves two purposes: to maximize your screen space and to better organize functions under the appropriate command. For Revu Extreme users specifically, we recommend checking out the Batch menu. You never know, you might find some really great tools (like Batch OCR or Batch Link) to automate repetitive tasks! Revu 2018 comes with revamped panels for more efficient navigation. Quickly click into File Access on the left, then with a single click from the right panel begin adding a new markup to your document. As with previous versions of Revu, customization is king: right clicking on any icon allows you to attach it to the top, side, bottom, or detach it to a more convenient place. Another great feature is the ability to zoom in or out with a simple slider to set the size of your Panel menu appropriately. All of these new Panels options are designed to give you more control and flexibility with a cleaner feel. Believe it or not, this was one of the top feature requests from customers, and now it's here in Revu 2018! The power is at your fingertips to remap any of the Revu Tools or Commands to any specific keyboard entry you desire. For anyone looking to work more efficiently, keyboard shortcuts are a proven way to cut down on time spent scrolling and clicking. In Revu 2018, the Studio interface works much more like Windows Explorer or Apple Finder, allowing you to access more files at once. You can jump back and forth between multiple Projects and Revu no longer closes out the previous Projects. Additionally in Revu 2018 you can check out multiple files in a tabbed browser style interface. Right off the bat, the Revu 2018 welcome screen opens to an introduction splash screen with 3 options: a short 1 minute orientation to Revu 2018, an example floor plan document, and a training module, all within the Revu application. Click on Launch Revu Tutorials to enter the training modules and select a subject to begin learning. This is truly an excellent addition to the software, especially for new users. And if you're looking for additional Free Bluebeam Training Resources, click that link to find even more great, free guided video learning. Finally, we always like to highlight that Bluebeam Revu is used by 94% of top US contractors and 92% of top design-build firms. * Bluebeam Software's ongoing commitment is to keep designing software that works better for you. Keep those suggestions for new features and improvements coming! Email us here at Bohdee or suggestions@bluebeam.com. So why wait? Start a trial or buy now to take your PDF workflows to a whole new level. Bluebeam Revu Extreme has all the functions you'll need to quickly and efficiently create PDF forms that include text boxes, buttons, check boxes, digital signatures, drop down lists, and more. While anyone can fill PDF forms and sign using their digital signature with any edition of Revu (Standard, CAD, or Extreme), only Revu Extreme has the capability to create fillable form fields within a PDF. In our opinion, it's one of the top reasons to upgrade to Revu Extreme. While you're using the Form Editor, clicking any form field object will display properties in the side panel. In the General properties, we can set the field's name, whether the field is visible when printed, and whether the field should be Read Only or Required. The Appearance tab is pretty straightforward; we have many of the same customizations that are available for general markups that can also be applied to forms. Further options are available that are unique to each form field type. In this example we have options to add items to our Dropdown List in this sample Punch List. 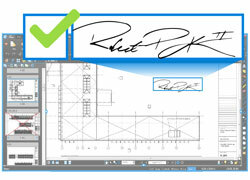 Bluebeam Revu makes signing documents digitally a breeze. From start to finish, we'll show you the simple steps to create a secure and unique digital signature, how to manage and customize your IDs and signature appearances, insert signature fields into PDF documents, and lastly how to sign and validate your electronic documents. If you don't already have an existing digital ID, or would like to create a new one, you'll start by clicking on the Documents menu, then Signatures, then Digital IDs. In the Manage Digital IDs menu, you'll have the ability to manage and export existing IDs as well as create a new one. Click the green + symbol to create a new digital ID. Populate the fields with your information. Especially important are the email address and password associated with the Digital ID. These unique attributes are what define you as you. Make sure to set a secure password that you can remember. If you lose or forget the password, there's no way to recover that Digital ID and you'll have to start a new one. Now that we've created our Digital ID, the next step will be to customize how your Digital Signature appears when you sign a PDF document. Revu allows you to take control of your signature's appearance to ensure your digital signature looks professional and clean. Navigate to the Manage Digital IDs menu by clicking on the Document menu, Signatures, then Digital IDs. Click on the Manage Appearances button at the bottom to bring up the Appearances menu. A common element people add to the their digital signatures to more closely match their physical signature is an electronic image of their handwritten signature. 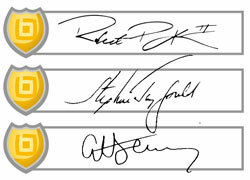 Notice how in the example below, a scanned image of the handwritten signature is used by selecting the File button in the Graphic section. Feel free to choose any of the text options you'll need in your signature and select whether you want the font size to scale automatically with your signature's size or be set to a certain preset size. As we discussed previously in the Forms section, in Revu Extreme you can add a Digital Signature form field by using the Forms Editor. 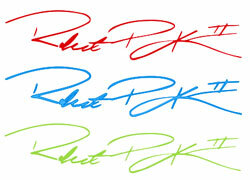 Once the signature box is placed in the PDF, it can be signed digitally using the signature we created. Lastly, when we want to sign a PDF document, we will click on an unsigned signature field to sign it. Notice how the mouse icon changes to a hand holding a pen when you hover over the field. To sign, we'll need to enter our password for the Digital ID (you'll see a drop down if you are using multiple IDs) and add optional fields like a reason for signing and contact information. Notice how in the signature menu we also have the options to create a new Digital ID and new Signature Appearance if necessary. Once the password is entered, click OK to sign. To summarize, you can use any Bluebeam Revu edition to fill and sign PDFs; however, only Revu Extreme gives you the ability to create form fields in a PDF. Finally, if you were looking for another reason to upgrade to Revu Extreme then the newest feature in Revu Extreme 2017, Batch Sign and Seal, might be the one that convinces you. Quickly apply a digital signature, professional seal and date across a batch of multiple files without the hassle of opening and signing individual pages one by one. For the best discounts on Revu Extreme, shop with us today! Did you know that not only does Bluebeam Software provide free pre-built tool sets, but that there are also free interactive stamps available? These Stamps come with built in check boxes and are perfect for Engineering Reviews and Submittals. Note: Interactive Stamps are only supported on Windows. Does Revu Mac have all the same features as Revu for Windows? Not everything, but the most commonly used features from Revu Windows are available on Revu Mac. Bluebeam will continue to add features from the Windows version in future updates. Check out the complete Comparison Chart to learn which of your favorite Revu features are currently available in Revu Mac. How is Revu Mac licensed? Revu Mac is available via Perpetual Licensing: a one-time license purchase that is charged on a per-transaction basis. Existing customers can trade in their Revu for Windows licenses at no cost, one for one. Does Bohdee offer any discounts on Revu Mac? Yes, at Bohdee we always strive to give you a competitive discount off of Bluebeam's list price. There aren't any volume discounts at this time for Revu Mac, so you'll pay the same per seat price at any quantity. Can I still run Revu for Windows on a Mac if I don’t purchase Revu Mac? Yes, Mac users can still run Revu for Windows using Boot Camp or Parallels. See our blog post here for more details. Which operating system is Revu Mac compatible with? Can I use Revu Mac on my iPad? No - however Revu iPad and Vu iPad are both available on the App Store to give you PDF viewing, markup, editing and collaboration on your iPad. What’s the difference between Revu Mac and Revu iPad? Revu Mac is more fully featured than Revu iPad. Revu iPad is only available for purchase on the App Store and includes some of the most popular features of Bluebeam Revu Mac, enabling you to redline PDFs and collaborate with others on the go. Access and redline PDFs with measurement or markup tools, including your existing tool sets. Additionally, collaborate with project partners across the globe anywhere, anytime (even offline), and review the same PDFs together in real time using Bluebeam Studio. The Revu iPad app is designed to give you core capabilities in the field, without compromising speed. Does Revu Mac work with CAD applications and document management software? Revu Mac does not currently offer any plugins for CAD applications or document management software. Is Revu Mac available in Standard, CAD and eXtreme editions? No, Revu Mac is only available in one edition. Check out the Comparison Chart to learn which of your favorite features from Revu Standard, CAD and eXtreme are available in Revu Mac. Does Revu Mac support PDF forms? Revu Mac does not currently support PDF forms. Thanks for reading! if you don't see your question here, email us at sales@bohdee.com and we'll reply right away. We chose to sponsor the Accessibility Professionals Association (APA) Annual Conference not just because it's right here in our neighborhood in Austin, Texas :) but because we believe that Bluebeam Revu offers an amazing way for folks in this profession to work smarter and faster. We'll walk you through the hows and whys in just a moment, but first let's look at some of the pain points and inefficiencies a Registered Accessibility Specialist might encounter on any given project. Paper-based reviews can be time consuming and expensive. Comments and redlines are made one at a time. Paper sets have to be delivered or mailed back to the client or state agency. Revisions needed? Repeat the process all over again. Bluebeam Revu includes industry-standard markup tools, such as clouds and callouts, to redline the drawings and document code violations. Plan reviewers also find Bluebeam's copy/paste tool to be extremely useful. This feature allows users to copy the same markups from floor to floor on high-rise buildings, thereby reducing repetitive markups. Save commonly used markups in Revu's exclusive Tool Chest, where they are saved across sessions of the program and reapplied with just one click. "Using Bluebeam's markup tools to electronically redline drawings provided us with a better, more visual way to explain code requirements to architects designing in our City." Plan reviewers can also leverage Bluebeam's Stamp feature to paste code notations onto project drawings to more clearly explain violations. You can even use the editor to create custom stamps. What is Studio? Studio is Bluebeam's cloud based collaboration tool, allowing you to host online sessions with your document sets for real-time, concurrent markup and review. Studio has helped other clients speed up project communication by 60%. Every edition of Revu (Standard, CAD, and Extreme) comes with Studio free. There's no separate software to install, it all runs within Revu. The wonderful thing about Studio is that everyone on the project team can access your documents from the cloud, and they don't even need to own Bluebeam software to do so! They can join your existing Studio Sessions or Projects using Bluebeam's free PDF viewer (Vu) and have full markup/collaboration capabilities absolutely free. "The combination of Revu and Studio helped HKS significantly improve the clarity and speed of project communication and reduce our printing and shipping costs. We have already begun using Revu on other projects, and our clients are amazed at how quickly we can document items and send updates." For more information on Studio, see our tutorial here. As the construction project nears completion, the clock starts ticking to complete site inspections, reports, and repairs. In Texas, the inspection is scheduled within 30 days of project completion, repairs are due 90 days after the final report, and the Texas Dept. of Licenses and Regulations (TDLR) will be looking to follow up on all corrections in 180 days. In this phase, good communication is imperative to ensure any violations are identified in a timely manner, thereby avoiding costly re-works later down the line. Don't let paper slow you down at the finish line! What if instead of lugging your checklists and blueprints out to a job site you could simply carry your tablet? Enter Revu for iPad (available on the App store). The desktop version of Revu is also compatible with most tablets running Windows. Revu lets you work without limits, whether you're at the office or in the field. Sync files and entire project folders, and once they're done you can work on your PDFs wherever you go, regardless of Internet access. Embedding photos, and even videos, on the fly is simple with Revu's capture markup tool. Create a call out to note a code violation, then capture a photo of it on the spot. Best of all, captured photos are displayed in your PDF report summary for clear visibility to the built conditions. That brings us to the Markups List. When it's time to prepare the inspection report, leverage the power of Revu's built-in markup and annotation tracking to create a PDF summary report with 1 click. All comments are hyperlinked back to the document for traceability. You can also assign a custom status (pending, in review, past due) to any individual markup or group of markups to clearly track when repairs are being made. You'll be feeling like a project superhero in no time! "Bluebeam Revu is one of those products that may seem novel today, but it will quickly push the boundary so that it is the expectation of our clients tomorrow." At Bohdee, our mission is simple. We want to be the best Bluebeam provider by serving our customers with technical expertise, simple procurement, and competitive discounts. So why wait? Purchase new licenses of Revu now to lock in your pricing and get a free upgrade to Revu 2016 this year! Bluebeam has just announced a LIVE webcast launch for Revu 2016, so to attend make sure you register soon. The webcast is scheduled for 2/23/2016, so you have about a month to register. Bluebeam is also teasing a mysterious special announcement "that is sure to inspire the next generation of industry leaders". Way to get us on the edge of our seats, Bluebeam! In addition, Bluebeam will be hosting post-launch webinars for in-depth demonstrations of all the new features. From our past experience attending Bluebeam webinars, the live Q&A sessions are a great way to learn how to really leverage new or unfamiliar workflows. Again, visit http://revu2016.bluebeam.com/ to register. Finally, we are expecting Bluebeam to raise their prices for Revu 2016 as they continue to add cutting edge features and value to the software. There's no better time to lock in maintenance at the lower 2015 prices and secure a free upgrade to Revu 2016 in February. Take our advice and head to the maintenance store soon! Since the company’s founding in 1997, Bluebeam has set out with the goal to make simple and smart solutions for PDF documents. Now, almost 20 years later, it’s clear that their flagship product Bluebeam Revu has become the industry standard PDF software for architects, engineers, and construction professionals. And you don’t have to take our word for it! Out of the top 50 US and international firms by revenue (as reported by Engineering News-Record), Bluebeam Revu has significant traction with industry leaders. While we’re at it, we should also point out that a lot of these firms have great things to say about Revu. Ok, so it’s pretty clear that Bluebeam Revu is a winner for the large AEC customers. But small and medium enterprises, as well as government agencies, don’t always have a big IT budget. And in today’s economy we’re all asked to do more with less. So how does Bluebeam Revu stack up to the other big name in PDF? And the competition also offers a subscription model, so what’s the breakdown over several years? Well, we’ve crunched the numbers so you don’t have to! Using today’s prices and projecting out 5 years, here’s how Bluebeam Revu Standard stacks up to Adobe® Acrobat® Standard DC. We’ve analyzed both the perpetual licensing for each product and Bluebeam’s perpetual license with maintenance to make a fair comparison to Adobe’s subscription service (both plans offer free upgrades). As you can see, Bluebeam Revu wins over Acrobat Standard with perpetual license pricing. With an Adobe subscription, you’ll pay less in the 1st year, but that quickly changes over time. At the end of 5 years, you’ll have actually paid for almost 2 Revu Standard licenses by making annual payments and over 3x the price of Revu if you pay monthly! That would not be considered a wise investment in our minds. Finally, when in history has it been possible to buy the better of 2 options for less money and get more features? It can be difficult to believe, but it’s true! With Revu, you’re paying less and getting more. Take a look at this feature comparison chart and see what we mean. So why wait? Purchase new licenses of Revu now to lock in your pricing and get a free upgrade to Revu 2016 this year! Bluebeam's Extreme Conference is only a few short weeks away (7/29-31), so if you are considering attending make sure to register as soon as possible. Registration ends this Wednesday (7/15), so you have only a few days left. For Bluebeam fans from beginners to power users and everything in between, this is the premiere yearly event to expand your knowledge of the software. In addition to their own internal sessions, Bluebeam will also be bringing in some of their own customers as speakers to share how they are leveraging Revu on their own projects. You can see a full schedule of the sessions here.